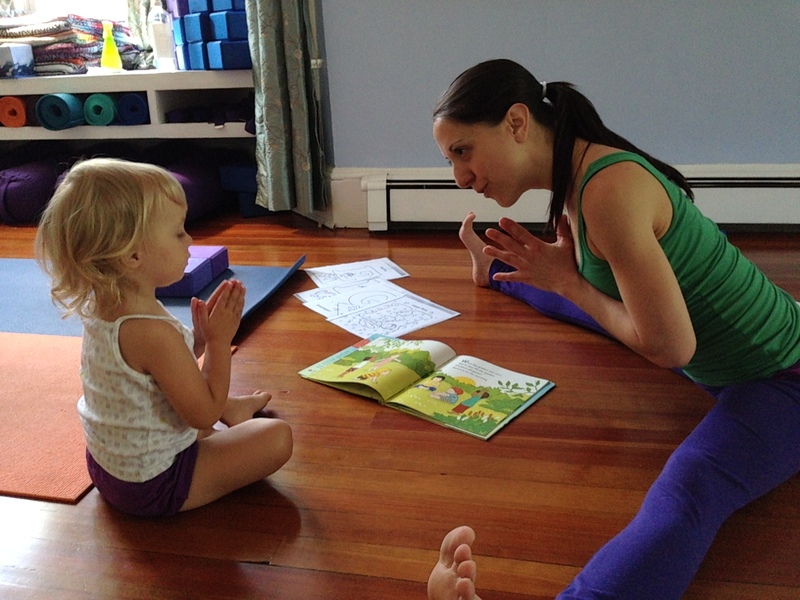 NEW: Autumn Munchkin & Me Yoga, for Ages 2-4 — First Saturday of Every Month, 12:00-1:00pm. Coming Oct. 4! Please register by Oct. 3rd for class on the 4th. With nothing but rave reviews about the Munchkin & Me class, we had no choice but to add it to our schedule. Come explore yoga with your 2-4 year old with the enthusiastic Mel Toth who comes prepared with children’s yoga books, coloring handouts and wonderful ideas to share yoga with your child. Each class is $18. Space is limited. Preregister today by purchasing your spot! The class will be taught by Mel Toth who comes to us highly recommended and whose joyous energy and enthusiasm for all aspects of yoga is contagious. Mel’s yoga journey began in her living room over 13 years ago. An educator since 1998, Mel has taught 4th grade, co-authored a strategy book for teachers and served as a tutor and Director of Education for several NY learning centers. From her extensive background in education, Mel brings a solid understanding of how each student interprets information differently and may apply those misinterpretations to his or her body. As such, she strives to make her instruction clear and accessible for students of all levels of experience. Mel’s classes focus on the development of a solid foundation through the use of props, demonstration, description, and encouragement, while exploring basic principles of alignment, balance and relaxation. By encouraging her students to respect their physical limitations while exploring what is possible, Mel aims to help each individual learn how to serve the unique needs of their body. She is forever grateful to her first yoga teacher, Jill Gnassi, whose expert Iyengar instruction taught her how attending to small details could make a huge difference in her life, both on and off her mat.